AND WHY DO YOU NEED HER? and development consultant for authors, entertainers and entrepreneurs. "Want to see your life transform and dreams come true? Hire Christine! Through her vision and coaching, I spring-boarded my health practice into a national company. Her passion literally bends reality so that the word 'impossible' cannot exist." OUT OF THE BOX STRATEGIES FOR OUT OF THIS WORLD RESULTS! 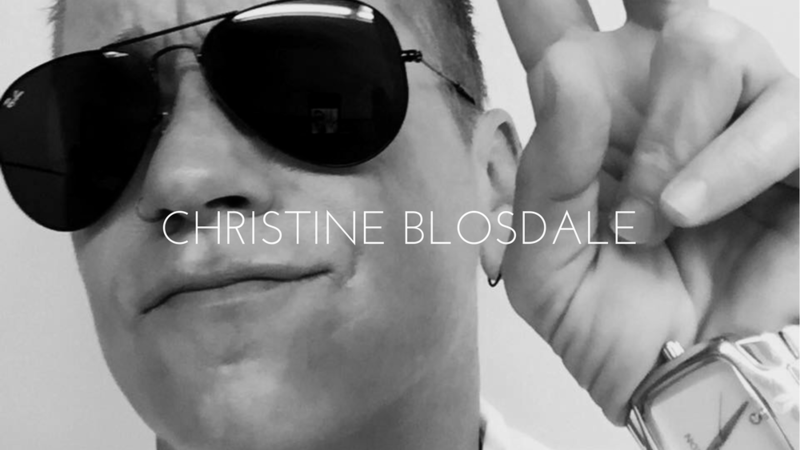 Capitalizing off her innate ability to know what draws in and captivates an audience, Christine Blosdale has helped hundreds of authors, businesses and entrepreneurs get their products and services out into the world. An all-in-one consultant and coach, Christine has a solid reputation in the industry based on decades of experience. Not only do clients give her Rave Reviews and Testimonials, but they also recommend her to their friends and business colleagues. To schedule a consultation fill out the form below. On her popular podcast show OUT OF THE BOX WITH CHRISTINE, not only is Christine a passionate seeker of truth, but she embarks on a passionate journey with the listener - the ultimate goal being transformation to our highest potential. Christine has over 25 years experience in the entertainment industry. She has managed a major radio station (KPFK 90.7FM) and has written extensively for America Online, MSN, OC Weekly, Bam Magazine, Hollywood.com and IndieGurl, just to name a few. In 2002 she began her career in broadcast journalism at Pacifica Radio’s KPFK 90.7FM in Los Angeles, where she produced countless programs focused on health, wealth and transformational wellness. She also delivered record-breaking funding to the tune of well over 15 million dollars for the non-profit radio station and network. She has also raised well over a million dollars for WBAI in New York, WPFW in Washington DC and KPFT in Houston Texas. She has produced The Roseanne Barr Radio Show, and has interviewed such notables as Marianne Williamson, Ralph Nader, John Paul DeJoria, Kelly Carlin, Wanda Sykes, John Trudell, Mariel Hemingway, Ed Asner, Meredith Baxter, Dr. Judith Orloff, Daniel Pinchbeck and Nobel Peace Prize laureate Wangari Maathai, to name a few. She has received the Excellence for Radio Programming with Outstanding Performance and the Lasting Contribution Award and was nominated for Music Journalist of the Year and Best Interview at the Music Journalism Awards. But if you ask her, Christine’s proudest achievement is meeting the love of her life. She is happily married to Australian Real Estate Consultant Tracy Blosdale, and the two are gratefully busy creating opportunities as they expand their reach globally to meet the demand of Socially Conscious Business and Networking.